A Few Bargains to be Had on the Day Before Christmas. #1 Bargain full frame. The Nikon D610. Hello Santa. I'm not immune to the siren call of the full frame sensor. I've owned enough cameras to see the differences between a large sensor and all the smaller format sizes. While I rationally think that I don't need anything bigger than the sensor in my terrific Panasonic GH4 there are times when emotion and insecurity take over and the full frame sensor seems like a panacea for just about everything. Usually I can resist the temptation to jump in with both feet because the prices are high relative to the use I think I'll get from the camera. Then there is always the fact that I've owned and used Kodak, Canon and Sony cameras with 35mm sized sensors and those cameras didn't make me any more creative, smarter or a better artist. So, just when I think I'm safe with my current inventory of m4:3 and APS-C cameras something comes along to rock the boat. I'll set the stage. Earlier this year I decided I needed a high res camera and I did a bunch of research and decided that the sensor in the Nikon D7100 fit the bill nicely. The camera has done well in the situations I thought it would; big images that can be closely examined. When I bought the camera is was around $1200. Now it's dropped in price to a little under $900. During the course of my research I read all about the D600 and its tragic oil spot and toxic waste on the sensor. I read about its successor and thought to myself, here's a camera that Nikon had to get just right to neutralize the P.R. nightmare of the previous model. 32nd place). So, the D610 would appear to be a good choice for people who are looking for full frame in a easily handled package. It's one of the best low light, high ISO sensors currently available anywhere and the body seems to be a rock solid, much improved iteration of the D600. So, why all my interest right now? Well, the camera is about a year old and in the interim Nikon has roiled the full frame market buy launching and incredibly well hyped upgrade in the form of the D750 at $2295. They also re-established their supremacy at the high end of 35mm style camera with a big refresh of the D800 in the form of the D810. In a seeming effort to quickly reduce old inventory the "buy new" prices on the D610 have dropped to $1499 on Amazon.com and early adopters have dumped their D610s in droves to snap up the D750 or to upgrade to the D810 and this means tons of lightly used D610s are currently flooding the market. If you shoot with Nikon stuff and you've been waiting for a cost effective upgrade path to a well done full frame camera with a great sensor inside you can, with careful shopping, pick up a used copy with less than 6,000 clicks on the shutter for as low as $1249 (if you want the protections of buying from Amazon or another big dealer) and I imagine in the private markets you can find decent copies for around $1,000. My grand plan? Jeez. Twelve hundred bucks for a full frame camera with 24 megapixels and glorious dynamic range? That's too good a bargain to pass up. I ordered one yesterday. I waited until today to write this so I could be sure of getting mine. Pretty selfish, I'll admit but then I've hesitated before and been disappointed when prices rationalized. 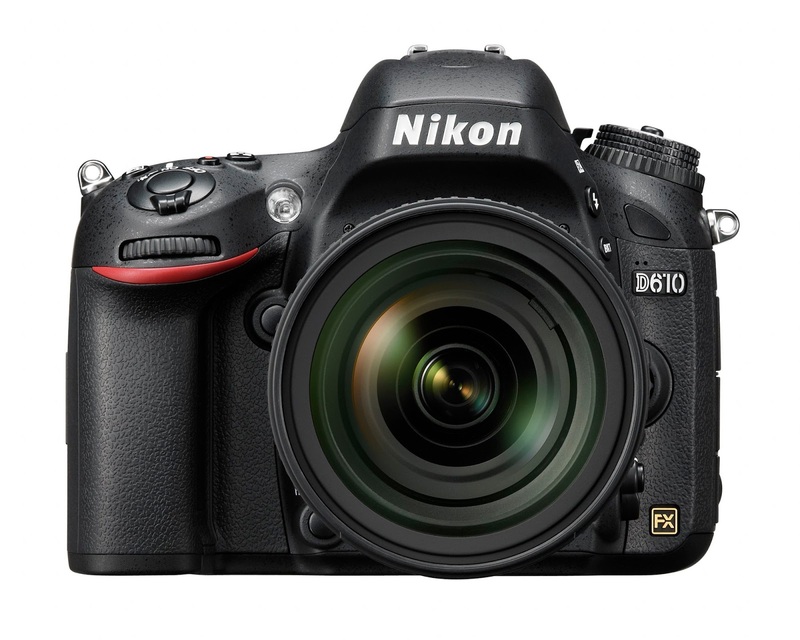 What will I do with the Nikon D610 when it arrives? Same old stuff. Throw a 105mm f2.5 ais lens on the front and take some portraits in the studio. At the current prices this camera fulfills all of my criteria to be called a bargain.